To many, the security clearance process remains frustrating and arduous. But over the last year, there have been some subtle, but important changes. As House Oversight and Government Reform Committee lawmakers likely will find out Feb. 2 at a hearing, the lead agencies, the Office of Personnel Management, the Defense Department and the Office of the Director of National Intelligence took steps in 2016 that officials expect to pay dividends this year in reforming and improving the security clearance process. 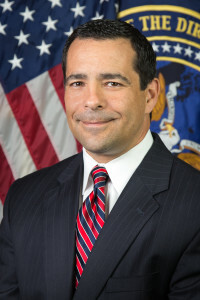 Bill Evanina, the director of the National Counterintelligence and Security Center and the National Counterintelligence Executive, said those steps were the establishment of the National Background Investigations Bureau (NBIB), enhancements to make the investigative processes more effective, the social media policy and, maybe most importantly, the prioritization of which federal employees and contractors need clearances soonest. Bill Evanina is the director of the National Counterintelligence and Security Center and the National Counterintelligence Executive. He said the government always did prioritization, but not every agency followed the same processes. Now, he said, especially in wake of incidents ranging from Edward Snowden to Chelsea Manning to former National Security Agency contractor Harold Martin, agencies need to be more consistent in how they prioritize which employees get security clearances. The security clearance backlog continues to be a major problem. In December, the Obama administration reported it took an average of 166 days to complete an initial investigation, 246 days to finish an initial investigation at the top secret level and 222 days for a periodic reinvestigation. That is up from 2015 when on average it took 95 days for initial secret investigation and 179 days on average for a top secret clearance. While the NBIB is working with DoD to improve its technology systems—DoD chief information officer Terry Havlorsen is scheduled to testify at the Feb. 2 hearing—another way to address the backlog is for agencies to trust each other. There are plenty of anecdotes where an employee goes from one agency to another and has to go through the security clearance process all over again even though their investigation remains in good standing. Evanina said with stories about reciprocity, while they may be true for that individual, statistics tell a different story. Evanina said many times agencies are looking at new information since the employee’s last polygraph or last investigation, and not doing an entire reinvestigation. He said he believes most of the “noise” or complaints about a lack of reciprocity come from those people who need partial reinvestigations, which can take longer. The reciprocity study is helping to shape the NBIB and its focus areas. Evanina said his office’s role in helping to stand up and mature the NBIB, which officially launched Oct. 1, is being part of the Performance Accountability Council—along with OPM, OMB and ODNI—to oversee and develop policy and reforms. President Barack Obama also issued an executive order on Jan. 17 amending the governance structure and processes for issuing federal security clearances, as well as suitability and fitness status for employment. The order also more clearly outlines the OPM’s responsibilities in this process under the NBIB. He said the NCSC drives the standards and policies for security clearance processes, including polygraphs or how the investigators do their jobs. “From our perspective, to be able to drive and ensure that across the board we are doing things commensurate with each other not only drives that same reciprocity, but when it comes time to affecting true continuous evaluation that we need to ensure at the end of the day we are all doing things fairly similar,” Evanina said. One of those policies that came in 2016 was Senior Agency Directive 5, which let investigators officially use social media platforms to collect publicly available information about an employee who is getting a new or getting their current security clearance updated. OPM was scheduled in October to start to test out how to conduct automated social media site searches as part of the security clearance process. Evanina said the data on social media clearly is useful for adjudication purposes. But at the same time, ODNI put in place privacy and civil liberties safeguards. Evanina said social media is one of many, many places investigators look for information about a person who is getting a security clearance.